The New Zealand Men’s National Fastball Team will be coming to the Langford Fastball Fields in Langford B.C on Sunday, June 25th to Play Exhibition games against the Sooke Loggers. 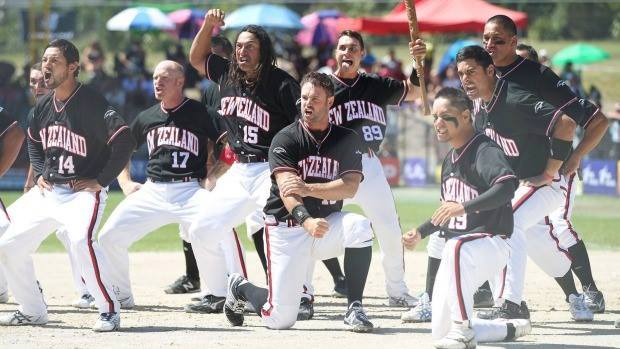 The New Zealand Black Sox are one of the top ranked teams headed to the WBSC World Softball Championship in the Yukon. The Sooke Loggers are a Men’s Senior “A” team that has been ranked 7th on the ISC World Tournament Rankings and two members of the team will play for the Canadian National Team at the WSBC World Championship in July. Game times will be 12pm and 2pm. Before the 12 pm game the New Zealand Club will perform the “HAKA” dance. You may need your own chair as seating will be limited.